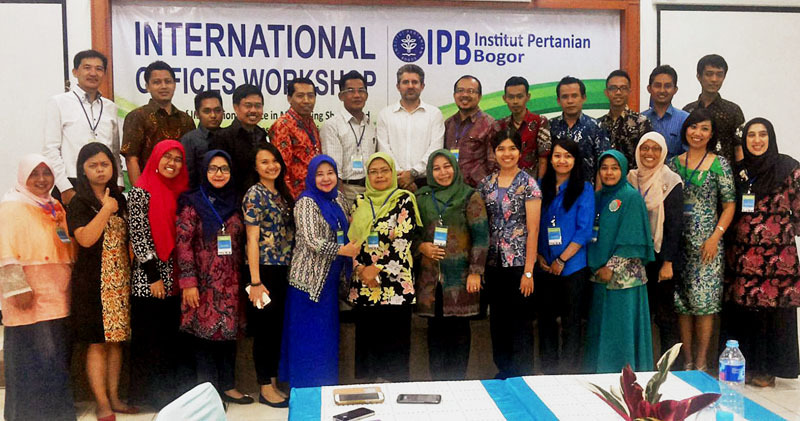 EMBRIO International Senior Advisor Dr. Carsten Thoms was invited by the International Collaboration Office of the Bogor Agricultural University (IPB) to present his perspective on the “Keys for the Academic Success of International Students at Indonesian Universities” in the frame of the “International Office Workshop” held on November 10, 2015. He also chaired the group discussion on the same topic at this workshop organized for International Office representatives from numerous Indonesian universities. The event comprised lectures by immigration officials and international experts. The ensuing plenary discussions moderated by the speakers had the goal to strengthen International Offices in “Minimizing Shocks and Improving Success of International Students”. Click here to view the Workshop Terms of Reference (PDF Download, 80 kB).